Wholly Nachos And Newcastles! Lee Is How Old This Year? Na! Na! Na! Na! Na! Na! So you say it’s your birthday! Na! Na! Na! Na! Na! Na! Well it’s my birthday too! Ha! Not really my birthday, but it’s my friend; Lee Huffman’s birthday today. If Lee’s name sounds familiar it’s because since his & Anna’s Engagement Shoot and their Los Olivos Wedding at the Firestone Vineyard that I had the honour of photographing of AND was featured in Professional Photographer Magazine from the PPA– they’ve become really awesome friends of mine. Last Saturday after I photographed the sold out world premier of “Flim Flam Houdini And The Hereafter” written by Gene Franklin Smith (from “Skyfell (And I Can’t Get Up)”) at the Malibu Playhouse! Since a picture is worth a thousand words, I believe there will be 63,000 words in the video I created from Lee’s birthday party! Hehehe! 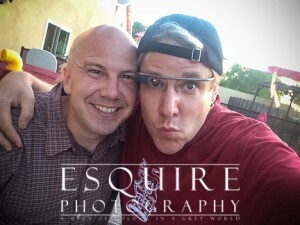 Before you scroll down to check out the film I put together with photos I captured on Google Glass and my Nokia Lumia 1020 and would like to chat with me about photographing your party or event, feel free to contact me anytime. I’m on Twitter, Facebook, Google+, the form on my contact page, the old fashioned phone at 888.ESQ.PHTO (888.377.7486) or direct at: 562.225.5915. PS, If you haven’t seen yet & are in or have been in the military – check out the EPIC Military Discount Program of 50% OFF. To help other families see how much fun they can have with the right photographer!